The new SCS petrol stations are designed very differently to the older ones. They require a completely different skillset to reskin them for other companies. The old ones we just change the texture and make a new look. The new ones require making many model changes (basically creating an entire copy of the prefab and modifying it from there) since they store less information about how they look in the texture itself. We investigated updating the AI. Adding our own versions means we need to update them ourselves any time SCS makes a change to them. Considering we don't have enough modellers as it is, and the ones we do have wear many hats, we considered this to be too much overhead to make the changes worth it. Yeah i know, i mean just one more brand. to mix it in italy and france and scandinavia which have only one company, this is why i like the new stations! Also SCS has released GOB stations with 1.32 germany rebuild so i guess they will become usefull for further releases and maybe 2.30 too. 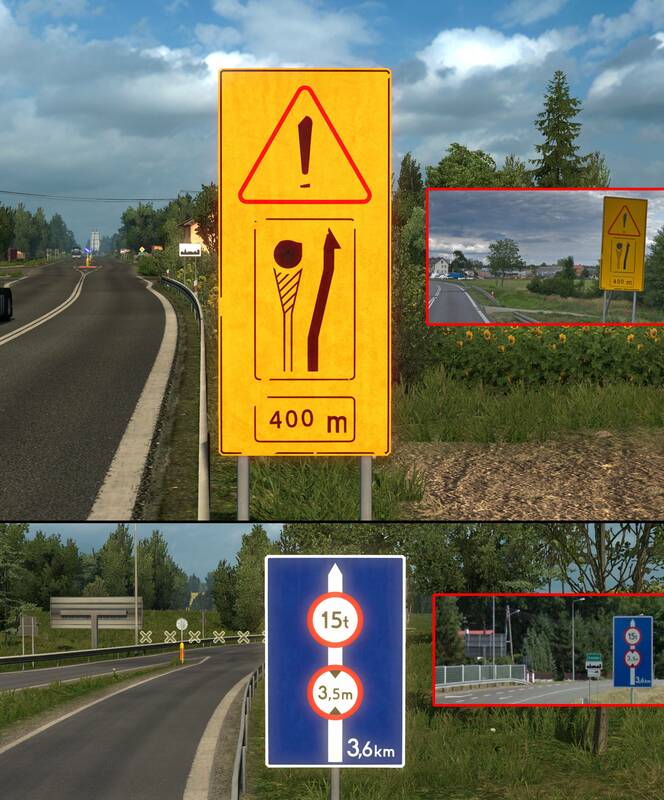 Hi, in the rework of Germany and the baltics sea dlc there were much greater looking roads introduced. Will they be used also in some other contries (like Austria, Poland, etc.)? sure - that is the reason why DLC's are getting mandatory - the developers are using the assets all over the map. I think it's time for a summary of my sign modelling work done since March 2018. Signs are one of the most important elements. 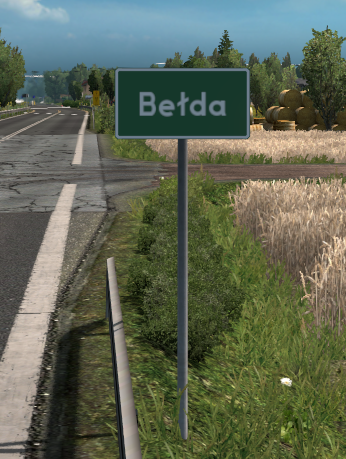 They make every road much more realistic and help you believe you're in the country you just entered after crossing a border. As some countries have a similar landscape, signs play a crucial role and make a huge difference. I'll try to use pictures to show you the awesome difference between SCS and PM, so you can understand how much effort and love I put into this "rework" (which was basically working from scratch). 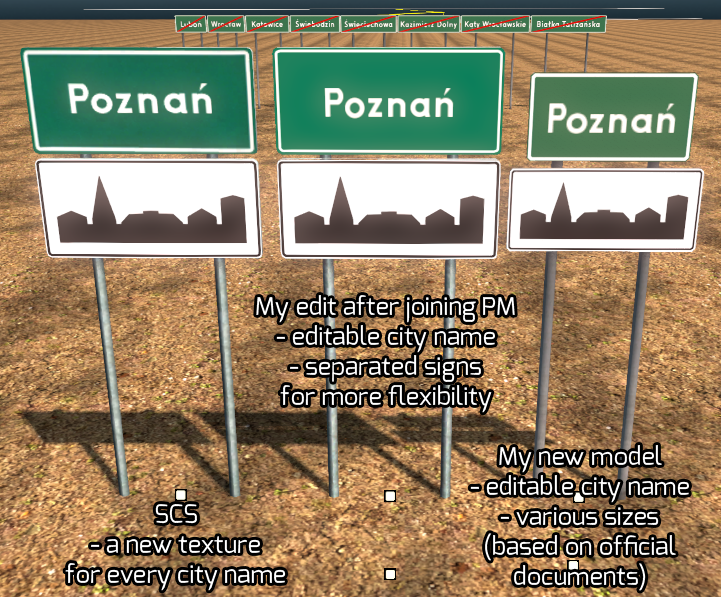 Keep in mind some textures are straight from Wikipedia (like all prohibitory or info signs) but most other signs were made from nothing and I used official documents to do everything as realistic as possible. And now let's get into signs! HixoPL and me decided to experiment with an innovative feature - sign stands. 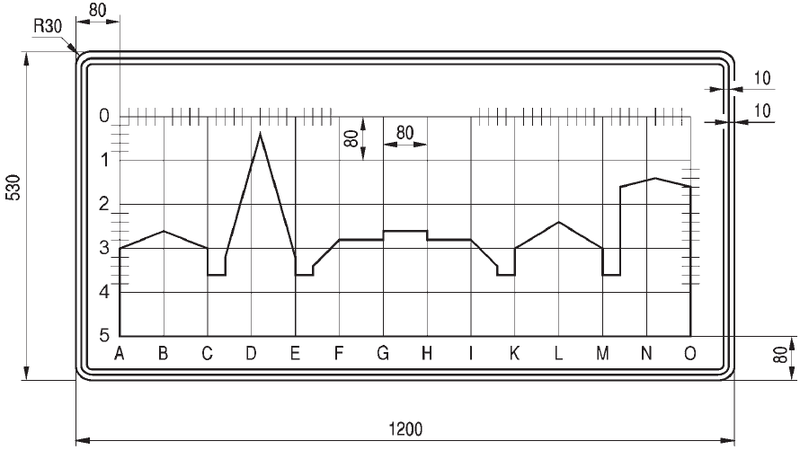 SCS uses them only in ATS, so I'm pretty sure we're the only two people who introduced this technology to ETS2 so far. In ProMods we always look for new, cool stuff which makes our work more effective but also provides a better experience for our players, because we can easily recreate real situations. Only the top sign has 2 poles, so their models don't flicker inside each other like it was happening in the past. No matter what case we'll find in real life, we're prepared for it! 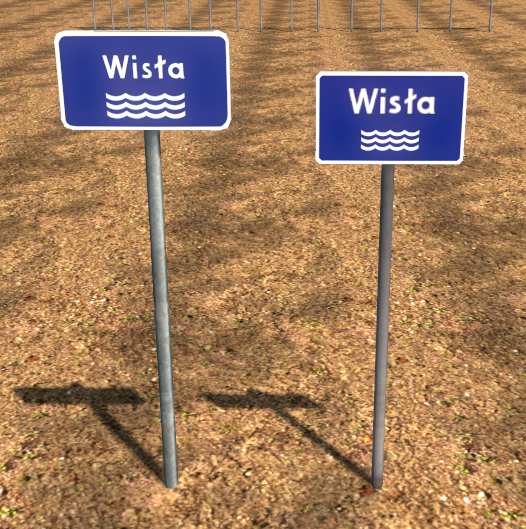 There was a similar issue with river name signs - fitting a long name on such a small sign produced hilarious results. And elot360PL gave me a challenge, so I did my best to make it look realistic, by looking at similar signs and using my own knowledge. I hope all my future signs will be even better, as it's a never ending journey - it's time consuming, sometimes annoying but also fun and rewarding. 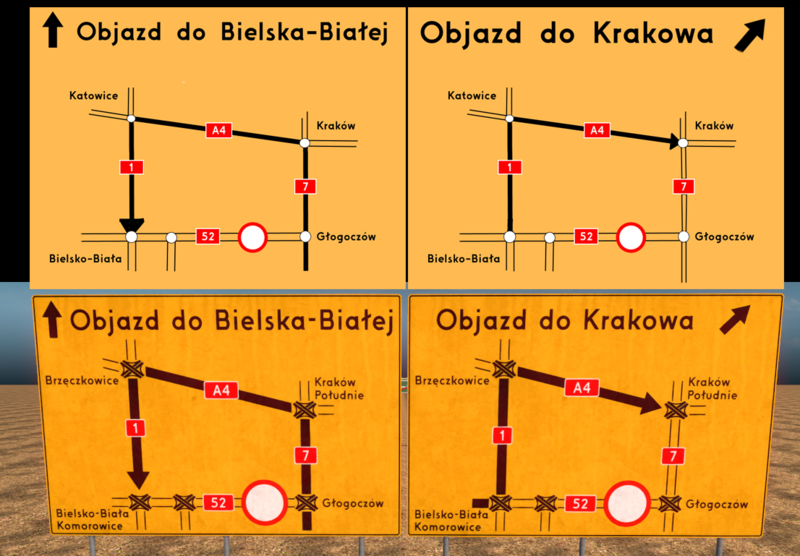 I'm sure you'll all appreciate our hard work when driving through Poland and knowing all this, your experience will be even better! well done voytek. 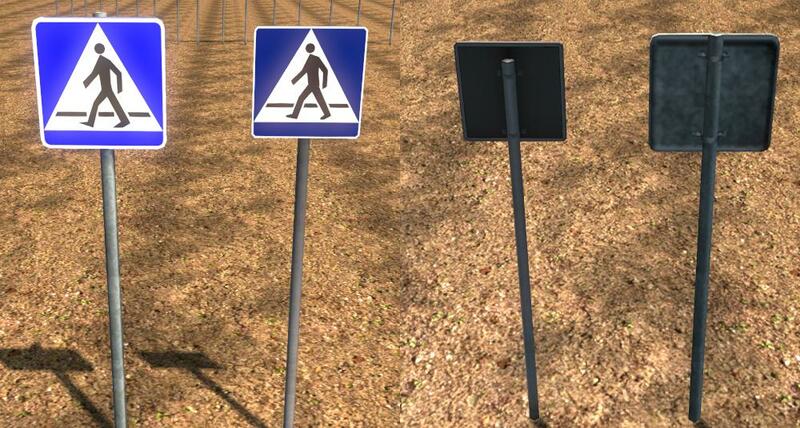 I respect your work, but I have one question: Are the guidepost-signs also improved from you? Are the guidepost-signs also improved from you? What do you mean? Could you show me a screenshot of this sign?